We call ourselves Six Seasons because we’re committed to our clients long after the ink dries—becoming your trusted real estate advisor in all four seasons of the year and beyond. To us, spring, summer, fall, winter, lifestyle and location are the six seasons that make up the bigger picture of selling or buying a home. This is what sets Six Seasons apart—delivering the kind of exceptional service that goes beyond real estate, adding value to our client relationships by being their advisors, friends and partners in homeownership throughout the years. If there’s one constant in life, it’s change. Seasons change, lifestyles change, families grow, and our needs and wants evolve. 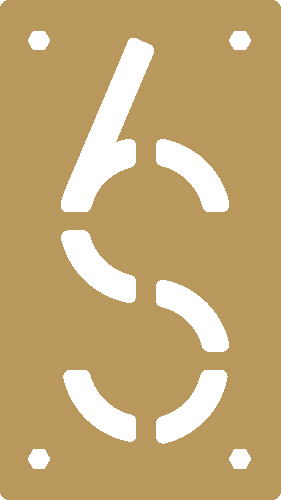 At Six Seasons, we recognize how the dynamic nature of life affects real estate and we’ve made it our mission to cater to our clients not just until the ink dries but long after, becoming a trusted friend, advisor and real estate partner. It all starts with the relationships we develop from the outset, getting to know our clients on a personal level so we’re able to provide the highest level of service possible as they approach buying or selling a home. Our expertise and understanding of the market, neighborhoods, location, lifestyles, contracts and processes allows us to focus on what really matters—helping our clients find the best possible home for them in the best possible location that fits their lifestyle. But our real added value comes after they’ve settled in or closed a sale. That’s when the relationships we’ve built and our ongoing commitment to service really shine. We want to be the number you call for advice on the best roofer in town, who to use for your basement remodel, or to stop by and check out your new patio. If we’re lucky, you’ll even invite us to stay for a beer. Finding the right home is as much about the lifestyle and the location as to what’s inside those four walls. When working with buyers we develop a customized framework to help you through the process of buying a home. We will ask a lot of upfront questions which allows us to hone in on your criteria, we apply our local knowledge to your needs and schedule market education tours to orientate you to different neighborhoods and their respective amenities. The right buyer who loves what your home represents is almost or as equally as important as maximizing your purchase price. We take pride in helping our clients realize a successful sale. You want a professional in your corner who will help guide you through the pre-listing process, is diligent when multiple offers exist, who effectively manages the under contract process and communicates with buyer’s agents and lenders. Our team has represented one of the highest resales in Washington Park and often works with first time sellers. Our talented group of Realtors® combine experience with passion, dedication and creativity. We are committed to bringing the professionalism of selling and buying property together with a sincere focus on building client relationships that last throughout the year and beyond. When we are not working with clients or hosting events, we are out in community supporting Denver’s arts, culture and culinary scene. Take your mobile search on the go! Last updated April 20 at 5:01 pm.